Offering customers with infants a convenient solution for diaper changes is a family-friendly approach to doing business. It is far more sanitary than having the parent change the baby’s diaper on the floor of the bathroom or the sink counter. Parents do not relish the idea of changing diapers at a business. However, when the need does crop up, a company’s foresight creates a good impression. 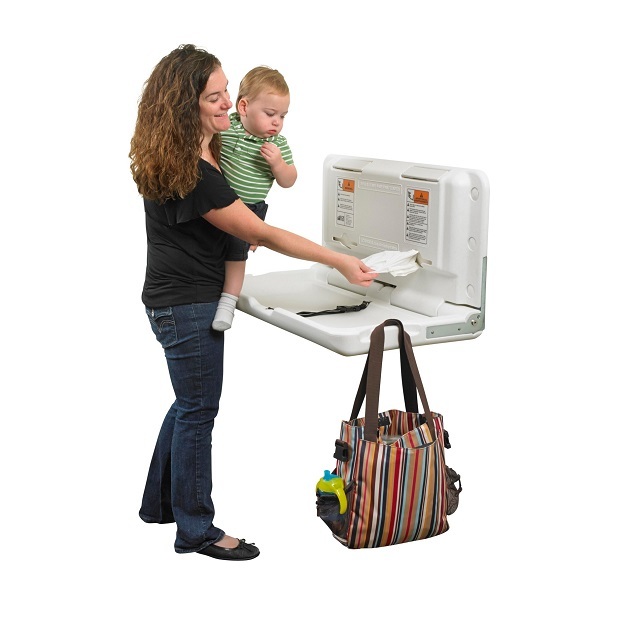 We recommend installing changing stations in all your restrooms. Koala Kare Stainless Steel Veneer Changing Station. This model measures 35 3/16 inches in width and 22 1/4 inches in height. The horizontal product presents with a steel exterior and a polyethylene interior. The manufacturer added Microban, an antimicrobial solution, to the surface, which reduces bacteria and odors. Foundations Vertical Changing Station. For a budget-friendly alternative, consider the Brocar high-density polyethylene station. It measures 20 inches in width and 32 inches in height. The unit comes with a table liner dispenser that is built into the wall unit. 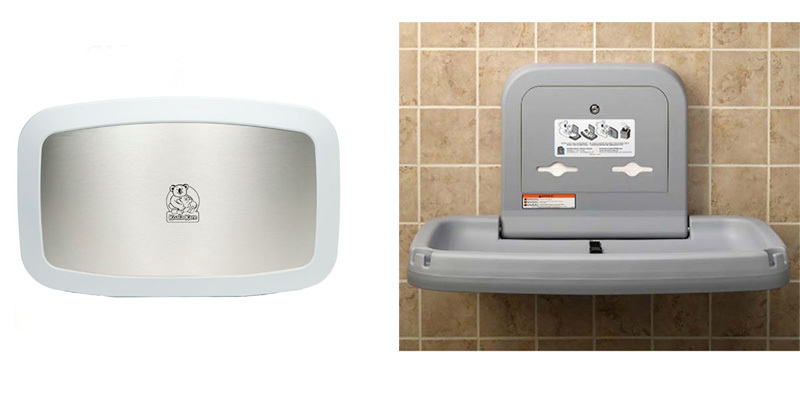 When discussing these facility upgrades with clients, we always recommend pairing the changing stations order with sanitary bed liner refills as well as portable hand washing stations by Jonti-Craft or stationary hand-washing sinks by Shain for hygiene. Contact us today to learn more about outfitting your family-friendly office with top-quality products.